BRUNSON IS THE HOTTEST CAT — WHEN THEY NEED HIM THE MOST! 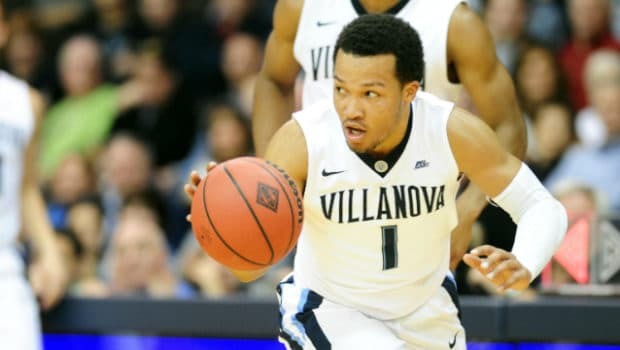 How good has Jalen Brunson has been lately for Villanova? The sophomore — coming off the best game of his career to date which included 22 points on perfect 7-for-7 shooting and 10 assists against Seton Hall — picked up right where he left off last night. 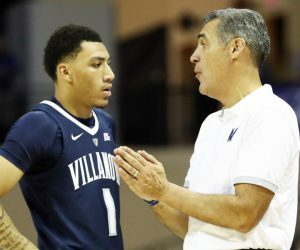 He scored nearly half of Villanova’s points in the first half, and finished with 24 points on 9-for-13 shooting, with four rebounds, two assists and one steal. Without Brunson’s effort, it’s hard to imagine the game as close as it was. Previous TEMPLE FALLS TO CENTRAL FLORIDA 71-69 — 14-15, 5-11 IN AAC! Next 6-MAN NOVA NO MATCH FOR SWEEPING BUTLER 74-66!